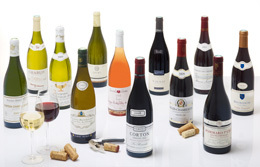 Do you want to enjoy the full palette of what the wines of Bourgogne have to offer ? Start by tasting white wines, and young or light wines, to better appreciate their qualities. Then, let yourself be charmed by the character of the red wines, or older and more full-bodied wines. You want to discover all the nuances of your Bourgogne wines ? Remember that their color and age have an influence on their character. By preparing this way for your encounter with Bourgogne wines, you will have some surprising tasting experiences. In any case, carry out your own trials and find out what suits you. “Remember there’s no such wine as one that goes with all cheeses ! Each type of cheese will go best with a specific category of wines. For example, goat’s cheese generally suits a dry, mineral white wine, such as a Chablis, while a reblochon can be accompanied by a soft, fruity red wine, like a Côte de Beaune-Villages. As part of a tasting involving several wines and cheeses, it is not a problem to play around with the usual order of drinking wines. For example, you may well want to drink a powerful white wine like a Saint-Aubin Premier Cru or a Corton Grand Cru after a light, fruity red wine, such as a Coteaux Bourguignons or a Bourgogne Côte Chalonnaise. That said, when you finish a meal with a cheese course, it is not always practical to offer several wines with your assortment. In practice, I’d advise eating the cheese with the red wine that accompanied the main course. If you drank a white wine with the starter or fish course, you can come back to this for those guests who go for goat or sheep’s cheese."